Bring fantastical poetry from traditional and modern texts to life with your voice and movement. 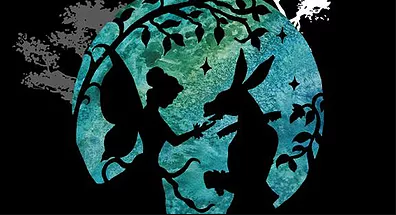 Work with texts from Shakespeare, Lewis Carroll and Shel Silverstein. Who will you be? A witch, a centaur, the wind, or a dragon? Soundscape and puppetry will be incorporated into our storytelling. 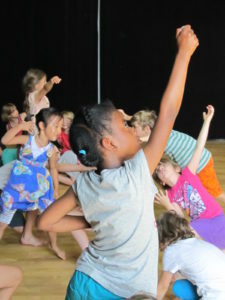 Workshop includes: drama, movement, art, yoga, drumming, cooking, circus skills, and relaxation. 3…2…1…Blast Off! Where shall we go? Who shall we meet? Be the astronaut of your own space adventure and take your friends on a fun-filled journey to different planets. 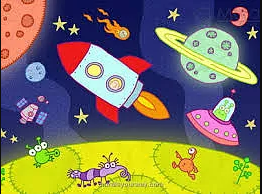 Let’s build a spaceship together and learn about real planets, or enjoy creating new ones! What will we find in the never-before-discovered planet of Zopfitz? Workshop includes: drama, movement, art, yoga, drumming, cooking and relaxation.